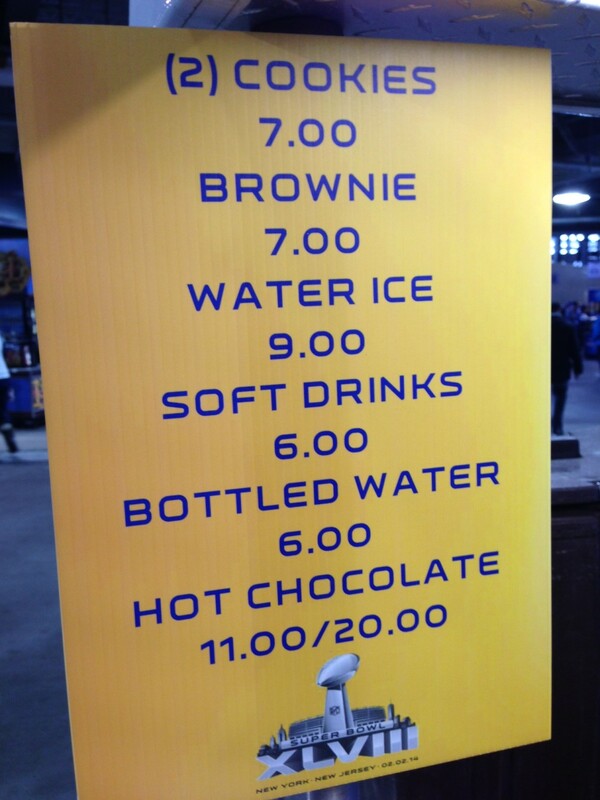 You wouldn’t believe how much a large hot cocoa with a souvenir cup was at the Super Bowl. Try a whopping twenty dollars for the hot chocolate and souvenir cup. There’s even “premium canned beer” for $14 a pop. It seems kind of crazy that they are taking this much advantage of fans.